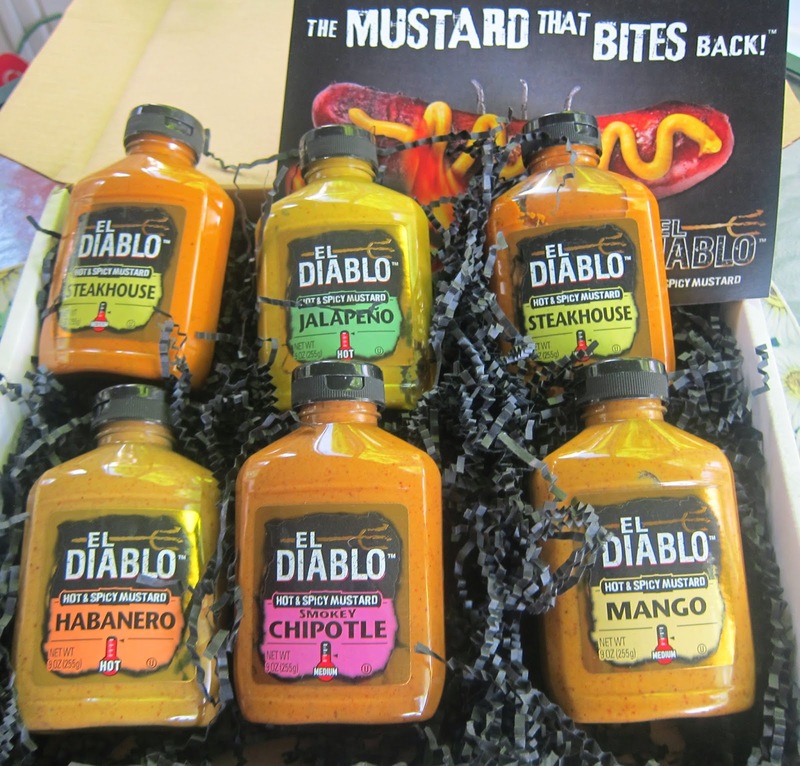 I love mustard, and I love heat, so when El Diablo asked if I'd like to try out their new line and write what I thought of cranking up the mustard, I was on board. All the flavors sounded great (for a heat freak), but the El Diablo mango jumped out at me first. I opened the mango bottle first and had it on a gourmet kobe burger (American version of the special Japanese beef I had when I lived overseas). Well, Where is the Mustard? My son accidentally erased my last month of photos. He felt pretty bad especially, since I got the sniffles (and not from the spice). 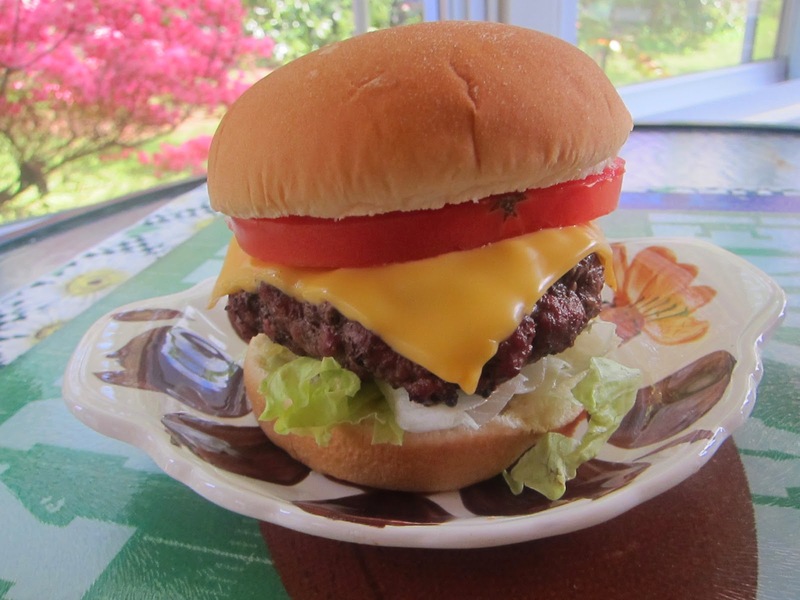 So, here is my beautiful burger, but the mustard is under the lettuce which is my favorite place to put condiments. My tilt and shoot picture was one erased, but I can assure you the mango mustard was as good as the burger looks. I'll get another mustard shot soon. This week I took a couple of Diablo mustard to our annual grilling gathering of the Winter Grillers. No. It's not winter. We're busy grilling at home in the winter. We tried out the mustard on burgers, sandwiches, and swatches of bread. Our grilling trip to Missouri is laid back like that. I also did the Roasted Chipotle as a rub on a pork shoulder. Normally, mustard just works as a glue and no real flavor. El Diablo isn't hot/hot on a large, smoked piece of pork, but you still get a bite back when used for smoking. It adds a nice and interesting layer of flavor. Even if you can't take a lot of heat, this idea works for most people who don't go too high on the heat. If you do like a kick (and not like the usual grocery store spicy brown mustards), then El Diablo is what you are looking for. This mustard is not like horseradish (which I do like). It is clearly a mustard flavored but notched up with enough kick so that you know you finally found a real mustard for heat lovers. I ended up loving El Diablo mustard. The heat is smooth and tasty and not just heat for the sake of it. I don't like that kind of heat. This mustard, though, is spot on with the flavors with mango still being my favorite (and quite unusual with the extra sweet note). This mustard sounds delicious. I love trying new mustards.